In our last post on the sales discovery process, we focused on the importance of asking your customers the right open-ended questions. The goal of asking strategic questions is to have customers clue you into their challenges and goals as part of a natural, two-way conversation. Questioning also allows you, as a Trusted Advisor, to help the customer uncover challenges they didn't realize they had. With this information, you can design and sell them solutions that feel custom-made to meet their needs and solve problems they didn't know they had. In order to offer your customers their perfect solution, however, you need to not only ask the right questions but also develop the skill of active listening. Only by attentively listening to what your customer says can you interpret what it means and eventually provide tailored solutions that they will want to buy. 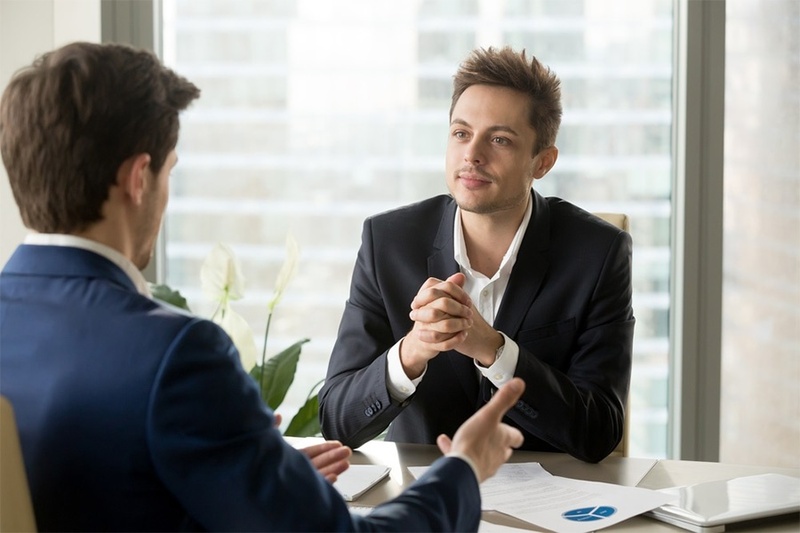 This skill can be challenging, particularly in cases where a customer is unable to communicate effectively because the problems that they need to solve are outside of the scope of their individual expertise. Listen not only to the words that are spoken but also how they are spoken and being communicated. If a customer continuously repeats a certain term or phrase or gets more excited about a subject, it is likely that those words carry more weight than others and should be given extra attention. Pick up on vocal qualities such as tone, inflection, and pace. Subtle clues such as sighs can indicate frustration, while an increased pace can indicate nervousness. If a customer's tone becomes more serious when discussing a particular topic, it may tell you that this is something that is at the root of their problem. Use follow-up questions, confirmation statements, and observations to evaluate the accuracy of your assumptions by saying something like, "This seems really important to you. Can you tell me more about this particular instance?" When meeting with a customer in person or via video conference, take note of their posture, eye contact, shrugs, hand gestures, and other body language indicators that may give you some insight into how they are feeling. Sitting with arms crossed, for example, typically signals defensiveness, and may tell you that you have some work to do to gain your customer's trust. The words that people choose to use in their communications are often intentional. Customers frequently use industry- or company-specific jargon to describe their concerns and challenges. Top sales professionals are able to pick up on those words and phrases and incorporate them into their own communications with the customer. This indicates to the customer that they have been heard and recognized for exactly what they were trying to say - this is not the time to be creative by reframing the customer's issue or using sophisticated-sounding synonyms. During the discovery process, a quick summarization statement can ease a new customer's hesitations about trusting you with their business. Saying something like, "As I understand it, you're looking for fulfillment details about Product X with a strong focus on timing and ROI. Is that correct?" confirms to the customer that they were heard and understood and that it has truly been a two-way conversation - not one where you were just trying to make a sale. Strengthening your active listening skills will help make the discovery process more successful and even more effective for both you and your customers. Combined with the ability to ask the right questions, the ability to listen actively will help you build a solid foundation for being a top-performing sales professional.